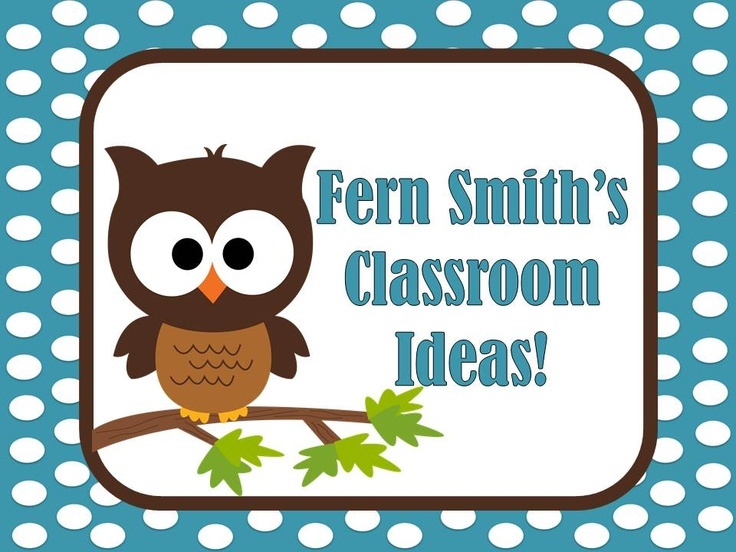 Tuesday Teacher Tips: Pencil Management - Fern Smith's Classroom Ideas! 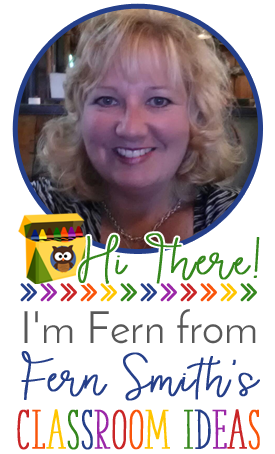 This summer my friend Michelle and I are going to be bringing you a new feature! 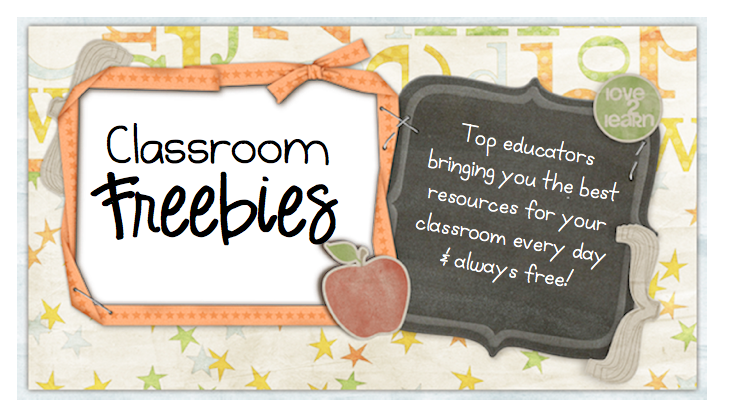 Every Tuesday please stop by for a new installment of our Tuesday Teacher Tips! Pencils....five and a half years at FSU and not once did I learn about pencils! Let me tell you, they will make or break you...seriously, you can be Teacher of the Year for the entire United States, have lesson plans written in gold, but if you don't have a plan in place for pencils, your little darlings will EAT.YOU.ALIVE! In the College of Education I learn all about "keeping students actively engaged" and "maximizing student time" but again, NO ONE told me about pencils. Then I interned and this amazing teacher I had would have the boys and girls line up each morning as they unpacked and she sharpened two pencils for each of them. At first, I thought what a waste of time....there has to be a better system. But it was amazing and I have done the same thing in every classroom since 1989! I have an electric pencil sharpener and as they unpack, the morning routine was to get two pencils sharpened, then sit down to their morning work. 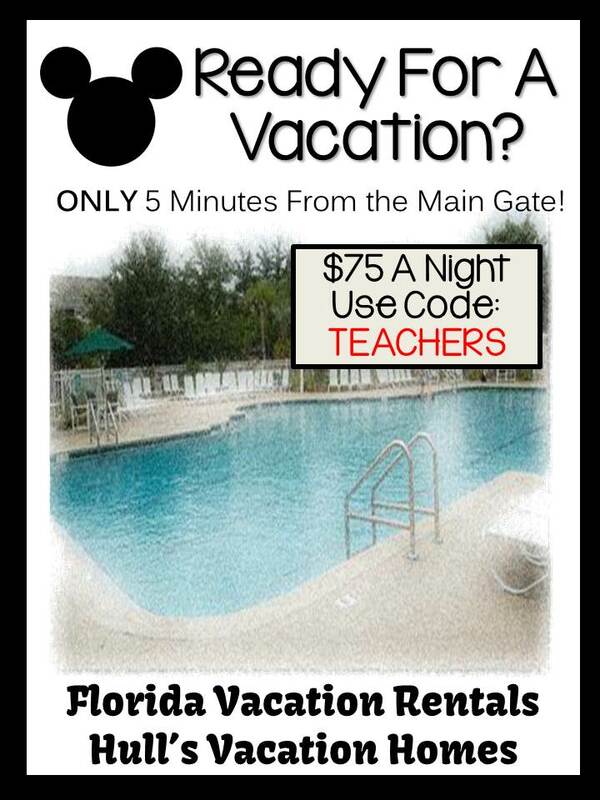 You know how excited your students are every morning? They love you, they want to tell you about their dog, their homework, their little sister...sometimes they just want to tell you that they love you. By giving EACH and EVERY children those few seconds of attention while you sharpen their pencils, it makes your morning start calmly and your students feel like you love and listen to each and every single one of them. 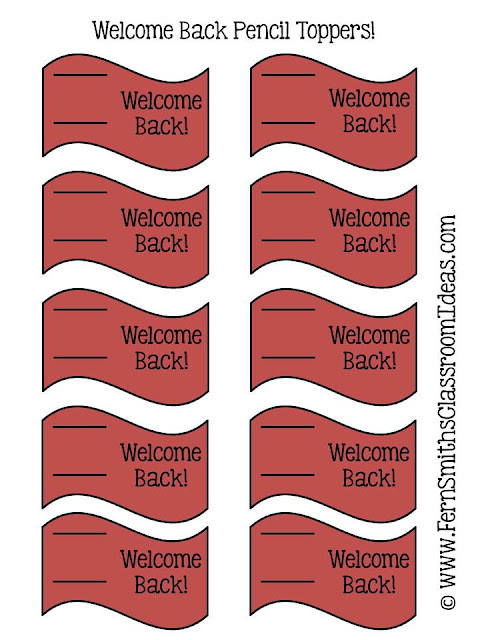 Click on the picture below to go to my Classroom Ideas Pinterest Board. This board is recommend by Pinterest to new subscribers and I would ♥love it if you would follow too! 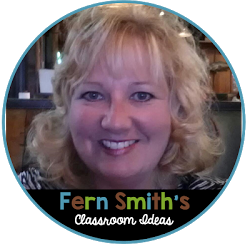 Michelle has some great tips about pencils and classroom management to share with you, too. 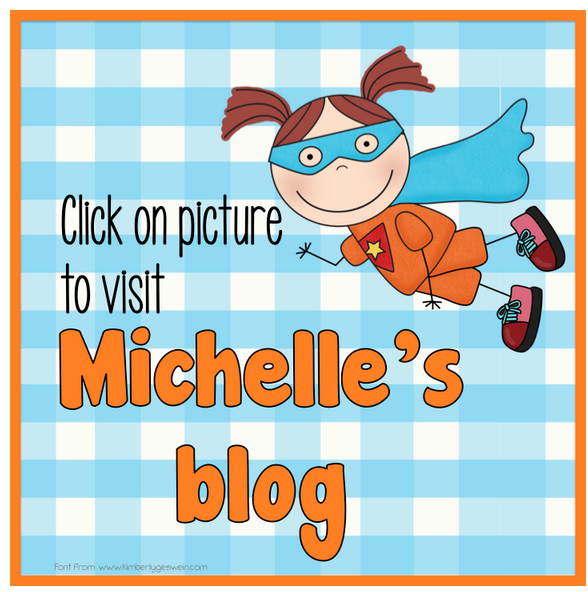 Be sure to hop over to her blog! I like the idea of sharpening two pencils for each child in the morning-that way you KNOW they are prepared. I will include this next year. My pencil management plan is that I have a manual pencil sharpener for the classroom. I love it because it is quieter than an electric one so I can allow a child to sharpen their pencil when needed. I will modify my management this coming year to include a hand signal to request to sharpen their pencil. I get so irritated when I am teaching and they think that is the right time to sharpen a pencil even though we aren't writing anything. Haha, last year I HATED pencils. This year I changed things. I bought good pencils and label them with names. Everyone started with 2 pencils. Occasionally I will reward those for keeping up with their pencils. I also pass out new pencils when needed. 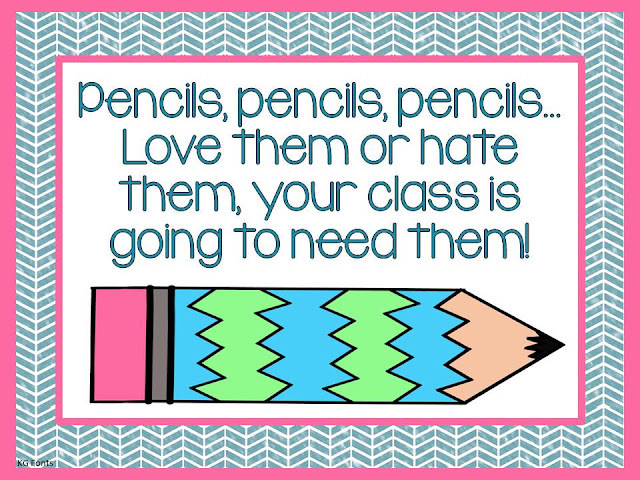 If a student keeps needing pencils, he/she has to "buy" a new one. Most of my kids have had 4 or less pencils this year. The most was 6. They keep their pencils in their table pencil cup. At the end of the day, they put the pencil cups by the sharpener and I sharpen pencils for the next day after or before school. This has helped me to be a less crazy teacher. 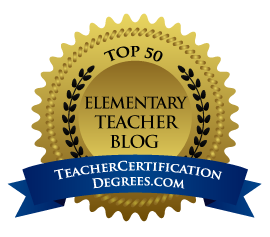 It is hard to start it and train the kids at the beginning of the year, but the rest is very easy to manage and keep up with. I let my students sharpen two pencils at a time, when we enter or leave the classroom. I have both the manual and electric type sharpeners because the electric one goes out and the manual one keeps on working. They may not sharpen at any other time, and they are not allowed to have a mini sharpener at their desk. Every first of the month I give them a new pencil, and every time they pass a chapter/unit math test they get a pencil. They say knowledge is power on them. They also get a pencil on their birthday. They do not use the cup system or trade them out, because I feel like it passes germs around. Speaking of germs, they also wipe them every Friday, when we clean desks with a wipey. I think it has helped with the germs this year. I rarely have a student ask to sharpen at any other part of the day. Once you train them, it works. This year I started using Winning The Pencil War found on TPT(sorry don't remember the author). The students get a set number of pencils in a pouch(I gave 8). On Friday they turn in their pouch for sharpening(about 30 minutes). They get a prize for having all 8 and nothing for less than 8 or bad condition. They pick up their pouch on Monday morning and no one sharpens the WHOLE week!!! I LOVE THE WAY IT WORKS!!!!! I'm not going back to the old way! I use a sharpen and dull box. Theory can get one from the box when needed. I bought 50 "teacher pencils," and use 5-10 at a time. When they need a 3rd they take one and return it in the P.M,,,,because they all say TEACHER PENCIL. But the best part is, THEY are in charge of making sure all 10 are returned each day, so they keep an eye out for them! Works for me!